Do you have any clients that are terminally ill or disabled due to age and struggling to care for their pets today, while wondering what will happen to them tomorrow? 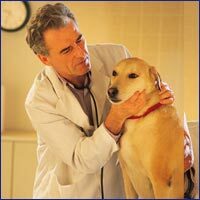 Do you ever wish there was a way to elevate the level of education that Veterinarians receive here and around the world? The Animal Kingdom Foundation of Compassion, Care, and Concern (AKFCCC), van offer assistance in both of these areas. The programs of AKFCCC are specifically designed to address two concerns that most doctors in our field face on a regular basis. What to do to help your clients who are disabled due to age or terminally ill receive the maximum benefit from their pet ownership, and achieve peace of mind regarding the care of their pet when they no longer can personally provide it. AKFCCC’s “Peace of Mind” Adoption Program, provides early medical assessment and interven­tion and even occasional assistance with food for pets of the terminally ill in portions of Falls Church, Arlington and Alexandria counties. It can help you help your clients. By supporting AFKCCC and it’s adoption program focused primarily on assisting the terminally ill, you will demonstrate to your clients that your compassion, care and concern reach far beyond the office visit. Further, you may wish to pursue affiliation with AKFCCC in order to contribute ideas, expertise or funds to help facilitate the “launch” of America’s first Animal Care Ambassadors Program on AKFCCC’s “floating university” scheduled to begin travel in 2014. Call us today, and find out how you and your fellow physicians can participate in the mission of AKF, to transform the lives of people, their pets and our world by nurturing and mentoring compassion, care and concern. We can be reached by e-mail at info@akfccc.org or by calling 703-742-8039 .